The overall goal of The Quality and Accessible Legal Aid in Ukraine Project is to contribute meaningfully to increasing equitable access to justice through quality legal aid for women and men across Ukraine, in particular individuals from marginalized groups. 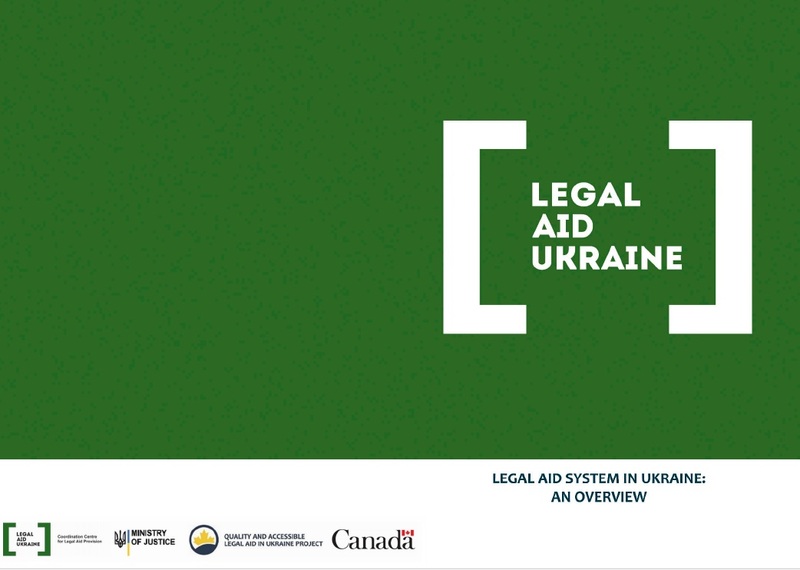 This Overview of the Ukrainian legal aid system was prepared within the framework of the Canadian-Ukrainian project Quality and Accessible Legal Aid in Ukraine. This Overview is the result of the efforts of the Project team in close cooperation with the Project partner, the Coordination Center for Legal Aid Provision. This publication describes the key elements and main performance indicators of the Ukrainian free legal aid system. Developed in 2014 for the first time, the publication is being constantly updated. 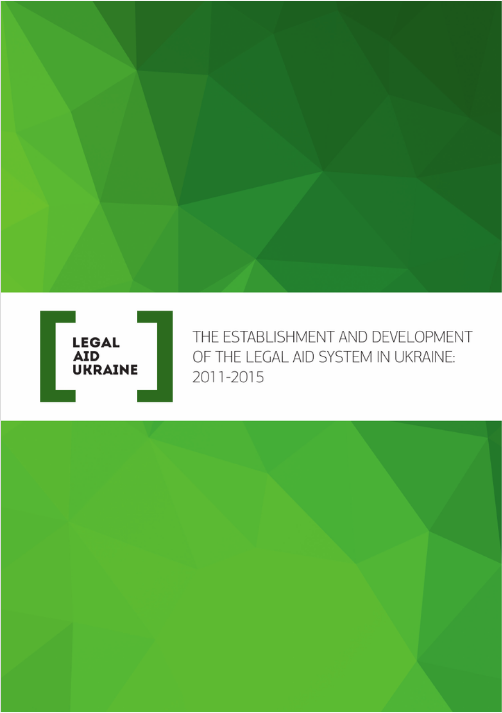 The Report on the Establishment and Development of the Legal Aid System in Ukraine, developed with Quality and Accessible Legal Aid in Ukraine Project, provides an overview of key milestones and key performance indicators of the legal aid system development over 2011- 2015 period. This collection is About Us: “AGAINST VIOLENCE”. 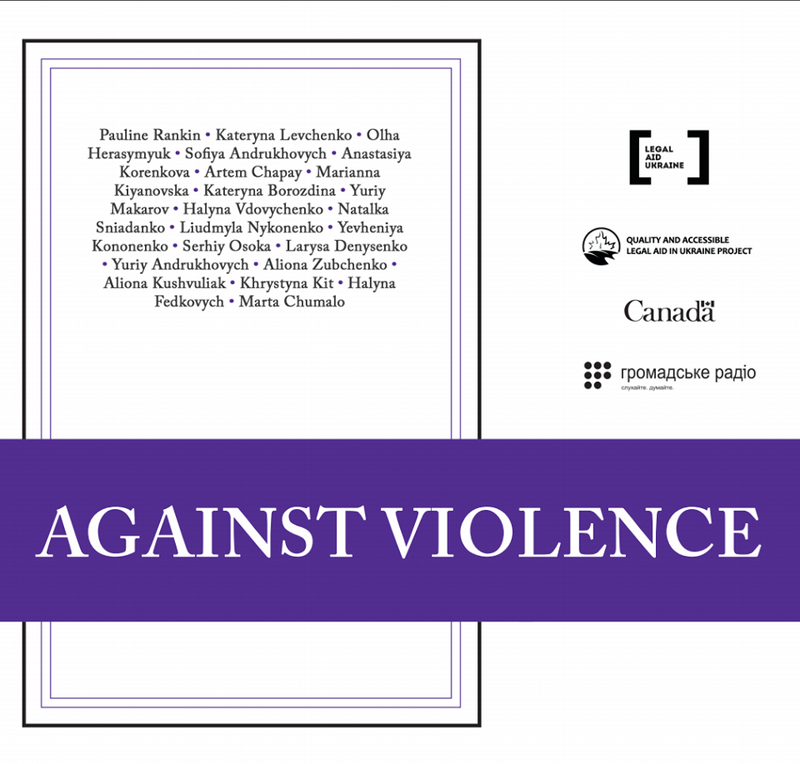 10 stories written by 10 famous Ukrainian writers where the situations and characters are recognizable and lifelike, and intended to describe typical domestic violence situations prevalent in Ukrainian households. The commentary from psychologists which help in understanding the situation. The advice from legal counsels about what to do, who to contact and what documents to file when you or someone else is suffering from family violence.